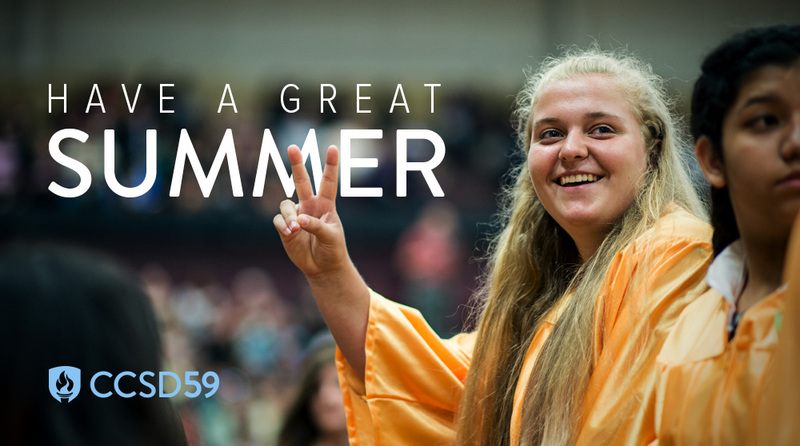 As another school year ends, we have the opportunity to not only look forward to the well-deserved summer break ahead, but look back and reflect on the year that we complete today. As I think of all our students and staff have accomplished this year, I am incredibly proud to celebrate the excellent learning that continues to take place throughout our district. Looking ahead to next school year, we will continue to focus on implementing our learning map work. Through this work, our district will continue to develop a preK-8 curriculum that aligns to the outcomes and understandings necessary to prepare students to be successful for life. I look forward to sharing updates with families as our redesigned curriculum continues to develop in a manner that will truly provide the foundation for students to be successful in school, college, careers, and life. I hope everyone takes time to rest, recharge, and enjoy time with family and friends over the coming months. Also, take time to celebrate with your children this successful school year that we complete today. I hope all of our families have a great summer.